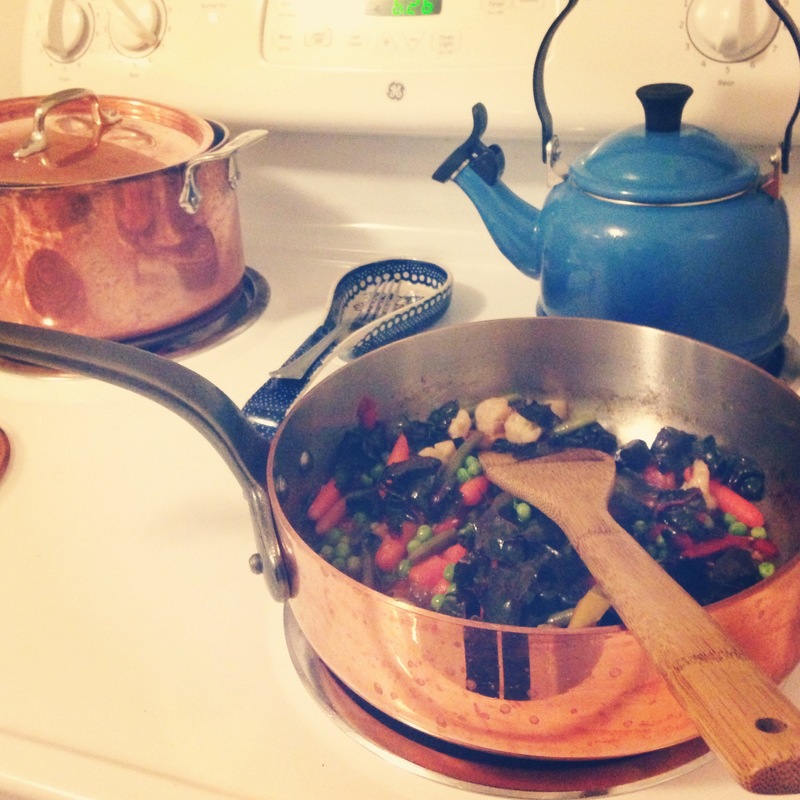 This entry was posted in Foodie, Life, Quick dinner and tagged Foodie, Life, quick-dinner. Bookmark the permalink. I like the index to all the recipes from Martha Rose Shulman’s NY Times “Recipes for Health” daily column, which is organized by ingredient… http://topics.nytimes.com/top/news/health/series/recipes_for_health/index.html. Of course, I do still have to have something or other in the house to use, but often Martha Rose gives me some idea about something to do with it, or with the pile of odd stuff that arrived in this week’s CSA box… You can also get each day’s new Shulman column and recipe as an RSS feed, if you like. First of all, we have the same tea kettle. Word. Secondly, this was a huge problem at our house before we had kids. My go-to then was a couple cans of Wolfgang Puck’s tomato-basil soup and a salad on the side. But then I had to actually start caring about what I put into my body. I had to learn to cook fo’ real! Aack! We take turns cooking at my house, and we have a certain day of the week we sit down with a magnetic weekly calendar and plan out what we’re going to make and which night will be for leftovers. I use an organic grocery order service (SPUD.com) from Seattle that’s free delivery for $30/over. I mostly buy things like milk in glass bottles (that I can return to them) and Theo chocolate bars and fresh pasta from them. The rest is bulk at the coop or stuff from Trader Joe’s. With all the stuff in the fridge and the planning already done, I never worry about what’s for dinner, and I even get a night off from cooking every other night. Whew! That’s how we do it. I use my cookbooks all the time now, and I blog about it every Monday. Good luck! Freezer meals are a nice option. Choose a main dish from the freezer, get some grain or pasta going and throw a salad together. Join us for an FMF session, share the prepping, and fill your freezer!